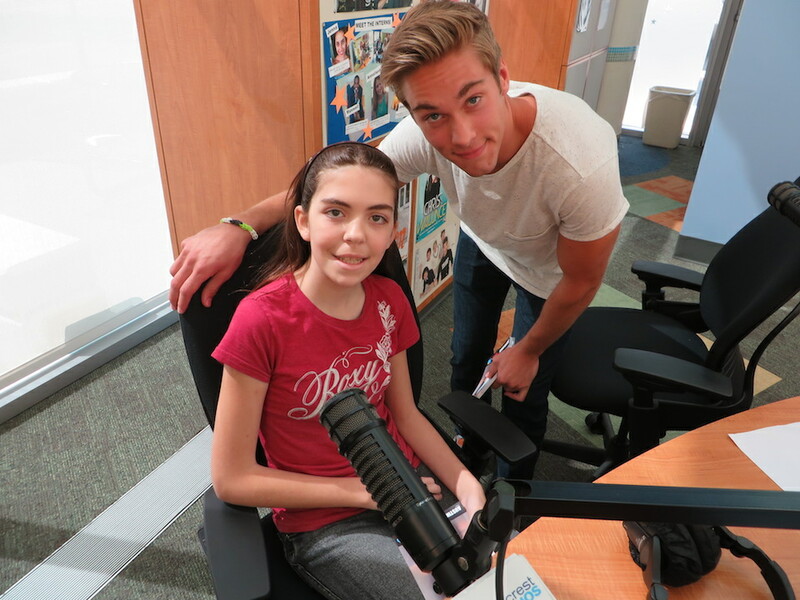 Austin North Brings Disney Magic To Seacrest Studios! Austin North, star of the Disney Channel’s new show, “I Didn’t Do It,” came by Levine Children’s Hospital on his very first trip to Charlotte! Patients gathered in Seacrest Studios to see the popular Disney actor, ask him questions, and get his autograph, and he did not disappoint! There was lots of giggling when Austin told patients about his pets (he has 2 dogs) and when he explained what a car fanatic he is! Everyone in Seacrest Studios found it very interesting to learn that it takes a week to film one episode of “I Didn’t Do It.” We have LOTS of Disney fans here and some patients dream of being Disney stars! What fun it was to hear Austin explain how to take the perfect selfie! Here is his advice: * Practice * Stand in front of the mirror * Smolder (He made our patients give their best smoldering look!) Getting to spend time with a Disney favorite is just about the best medicine a kid could wish for! We can’t wait to have Austin North return for a visit and, in the meantime, we’ll be watching for him on the Disney Channel!